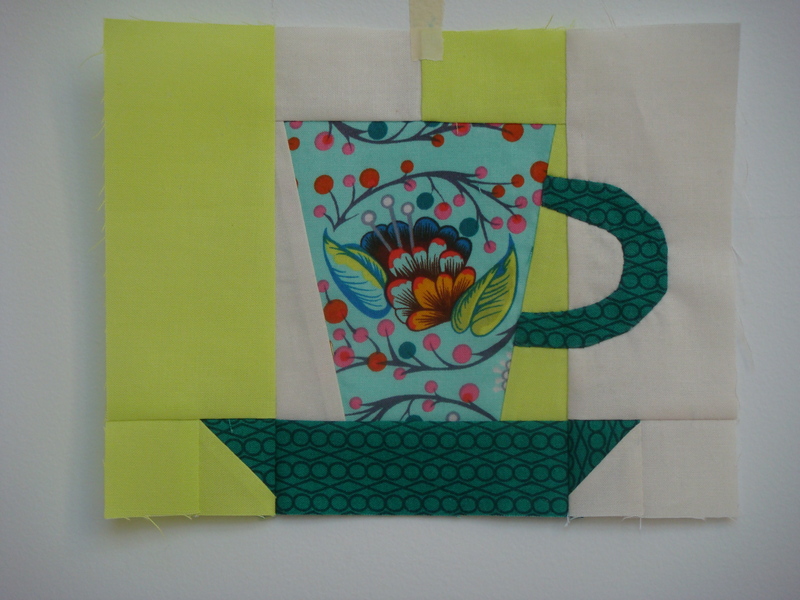 Have you seen that Sarah Fielke is collecting blocks for a special birthday virtual cup of tea quilt? Of course I’m participating since we all know I’m her biggest fan! And there’s prizes! Ok, so the handle appliqué could be smoother but I think it’s still super cute. I hope it fits in well with the others. I’m sure the final quilt will be stunning! That’s all today because I am working away on my voile test mini quilt I hope to share with you guys later this week. 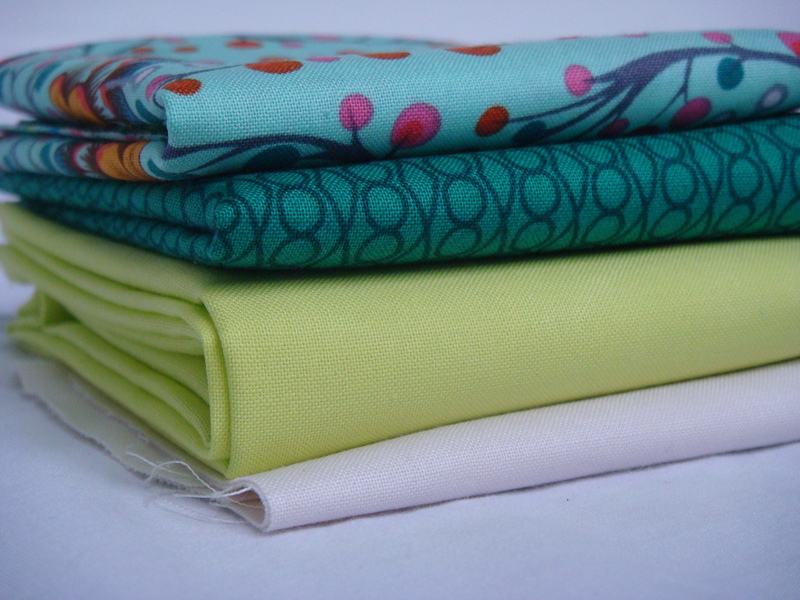 Voile, linen, and cotton, oh my! Linking up with And Sew We Craft Together! This entry was posted in Uncategorized and tagged Sarah Fielke. Bookmark the permalink. Wow. Your block looks great. Very nice cup to tea. I bet the finished quilt will be lovely. Very cute! The lime pops, and looks very Sarah Fielke. I’ve got to give that block a try, I adore her new book. 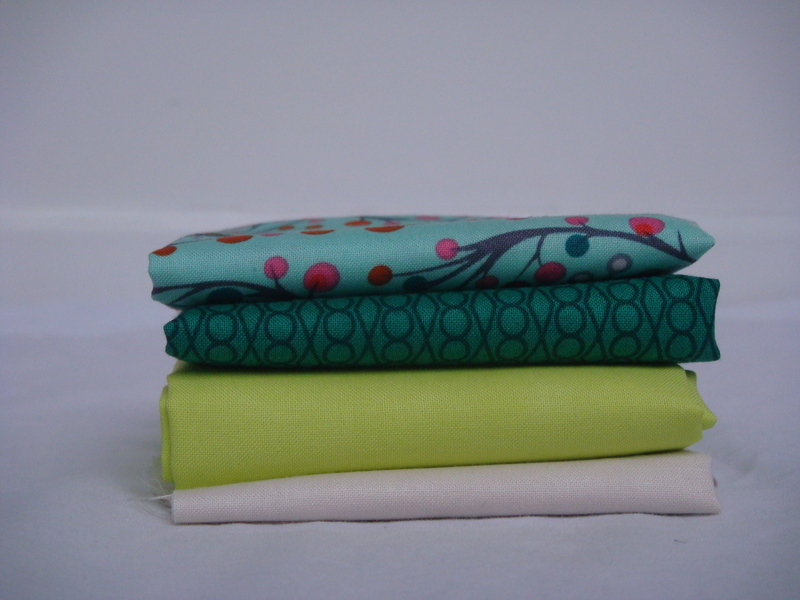 You’ve chosen great colour combinations Sarah and I love how you fussy cut the fabric for the cup.